Many people are unaware that in the 1860s Mexico was an empire and was ruled by a man named Emperor Maximilian the First. Who was this man and how did he get control of Mexico? More importantly to this podcast, what became of his imperial treasure? Everyone likes a good treasure story but before talking about the treasure we will set the stage and give context. Emperor Maximilian was born an Austrian Archduke, to the House of Habsburg, second son of Archduke Franz Karl and was the brother of the long-ruling Emperor Franz Josef. Maximilian was descended from Ferdinand and Isabella, and many of the other Spanish monarchs who ruled over Mexico as New Spain. In 1857 Maximilian married Princess Charlotte of Belgium the daughter of the King of the Belgians, Leopold I. She was also the first cousin of Queen Victoria, as they were both granddaughters of Francis Frederick, the Duke of Saxe-Coburg-Saalfeld. Yes, that’s a lot of genealogy to consider and if nothing else, it shows how well connected Maximilian and his wife were to the various European noble houses. Mexico in the late 1850s was very tumultuous. After the Mexican War Santa Ana ruled as dictator and was later deposed by the republican forces led by Benito Juarez who was the first indigenous ruler of modern Mexico. Under the constitution of 1857 Juarez was formally elected president in 1861. 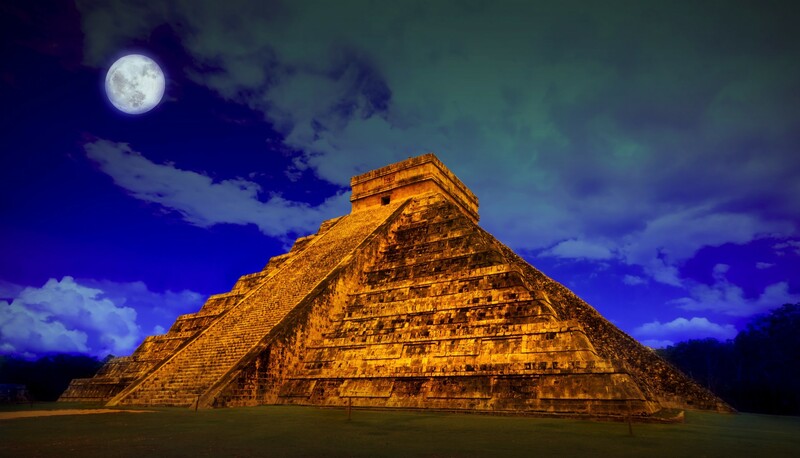 Three European powers – France, Britain and Spain – had many financial interests in Mexico at the time and were upset about unpaid debts and overall political instability in that country. In 1861, the European trio sent a force to seize the customs house at Veracruz. Napoleon III of France spearheaded the effort and thought that having a permanent French military presence on Mexican soil would be a good way of securing French interests in Mexico. Napoleon’s first force to take over Mexico was defeated by the Mexicans at Puebla on May 5th 1862, now celebrated as Cinco de Mayo. The French didn’t stop there, though, and sent more troops, advancing on the capital, causing the republican government to collapse and Juarez to flee to the north, setting up his government in exile in Chihuahua. The power vacuum from the French invasion set the stage for the empire. 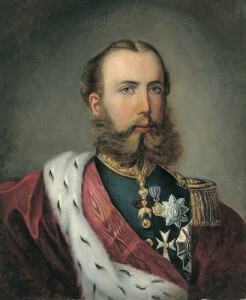 A group from the Mexican aristocracy with the backing of Napoleon III of France approached Maximilian to offer him the Mexican crown. At first he said no, but when he had heard of a vote taken in Mexico that confirmed the proclamation of Empire, Maximilian and his wife Carlota renounced their European titles and in the spring of 1864 they headed for Mexico. Maximilian arrived in Mexico with a small personal fortune and amassed more wealth during his tenure as emperor. In the final days of the empire, according to legend, and like many other rulers of Mexico who would follow him, Emperor Maximilian made arrangements to get his vast wealth out of the country. He knew that the ports were in rebel hands and the countryside was rife with banditry, so he thought it too risky to take his wealth out of the country overland and by sea by normal routes. Instead, he chose 4 Austrian officers and about a dozen Mexican loyalists to take the loot up north and through Texas to the port of Galveston. They loaded up 15 ox-pulled wagons full of $10 million of gold, silver and jewels and took a zig-zagged course while heading north to avoid pursuit. When the treasure train crossed the Rio Grande into Texas they camped at Presidio del Norte, presumably safe on the American side of the border. While in camp the group met 6 former Confederate soldiers from Missouri who were heading to Mexico rather than submit to Yankee rule. The Austrian captains asked if these men would postpone their trip to Mexico and help guide them across Texas to Galveston. They never told the Confederates what was in their cargo, and the Confederates agreed. Back then, Texas was a place still fraught with Comanche raids, banditry and a whole host of other hazards. Near the border of modern-day Upton and Crane counties, south of Odessa, where Route 385 is today, the Confederates found out the truth about what they had been escorting. They overpowered the Austrians and the Mexican loyalists, killing them, and taking the treasure for themselves. The story doesn’t end there. The 6 Confederates took some of the treasure with them, but buried the rest and set fire to the wagons over the spot where they buried the treasure. Their plan was to go back to Missouri, regroup, and return to get the rest of what they had buried. Along the way back to Missouri, though, one of them became really ill and had to be left behind at a place called Fort Concho. After a few days, although not fully recovered from his illness but feeling he might be cut out of the action, this man left the fort to try to catch up with his compatriots. A day into his journey he found them, all dead, the victim of a Comanche attack. So, this man who was still very ill was the only one left who knew the location of Maximilian’s imperial treasure. He kept going and on the way back to Missouri and too sick to travel farther, this man stopped in Denton, Texas and went to a doctor there to help cure him. The doctor told the Confederate that he didn’t have much time to live. And so the story goes, bedridden and knowing he would never recover the treasure for himself, the Confederate drew a crude map for the doctor and told him the story of Maximilian’s treasure. After the man’s death the doctor took a group of people to the border of Crane and Upton counties to hunt for the treasure, but after weeks of trying they never found it. The story doesn’t end there. In 1937 a man named “Doc” Noss claimed to find a treasure in the San Andres Mountains of New Mexico hundreds of miles from the supposed site of the Confederates’ treasure burial. Included among the items found in a cave in Victorio Peak, it is rumored, were gold bars and the jewel-encrusted crown of Empress Carlota. Many believe that Doc Noss’ claims were fake and were only part of a scheme to sell shares in the excavation of the treasure. The supposed treasure at Victorio Peak is a whole other story and the subject of countless tall tales and rumors. What happened to the treasure of Emperor Maximilian is truly unknown. What was the fate of that $10 million in precious metals and jewels? Yes, a week before JFK was killed, he and LBJ flew there to see the gold. if JFK died, LBJ would be the decider of who gets the gold. Why do you think he had a big runway built next to his presidential library ? That some very interesting information and one more thing to add to the JFK story. Thanks for sharing! I’d love to, but I have little time these days. Thanks for the offer. I’m in Midland. I’ve thought about this for years. Do you know of a connection who would be interested in purchasing this piece of Mexican History. Ir an be seen in Fresno, Ca. Cool. I wish I was well connected and could help you. I will leave this here for people to respond.